This showcases one of our Markilux awning exterior design projects. 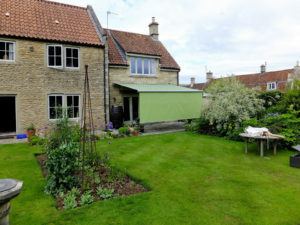 Our customer had a South Facing Garden and was really concerned about Sun damage to their curtains and living room. As well as this they also wanted to create a safe shaded space in their garden/patio area for their children to play in during the summer. 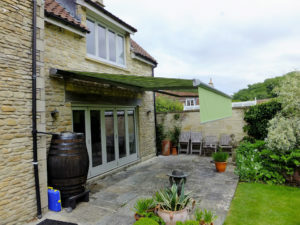 After visiting our showroom and a site survey, we suggested a Markilux awning as a way to solve all of the client’s concerns. 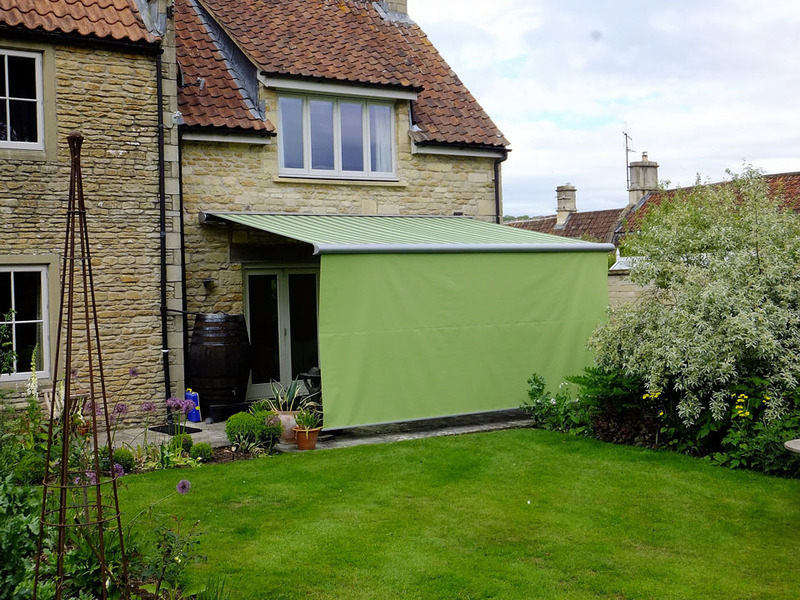 Awnings are fantastic for shade and are available in various fabric types and styles. They can be attached to most homes and can match the aesthetics of any garden. They also feature many motorised options including remotes making them very easy to operate. 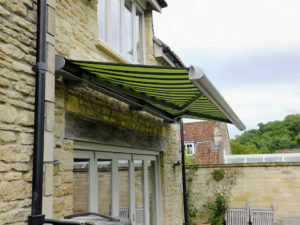 We used Markilux to supply the awning as they are the premier awning manufacturer. 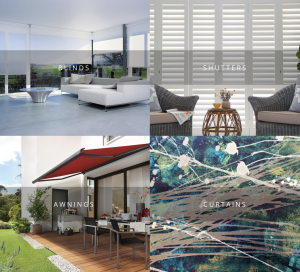 They use German engineering to create the most advanced, efficient and reliable awnings on the market today. All Markilux awnings come with a guarantee making these a worthwhile investment. 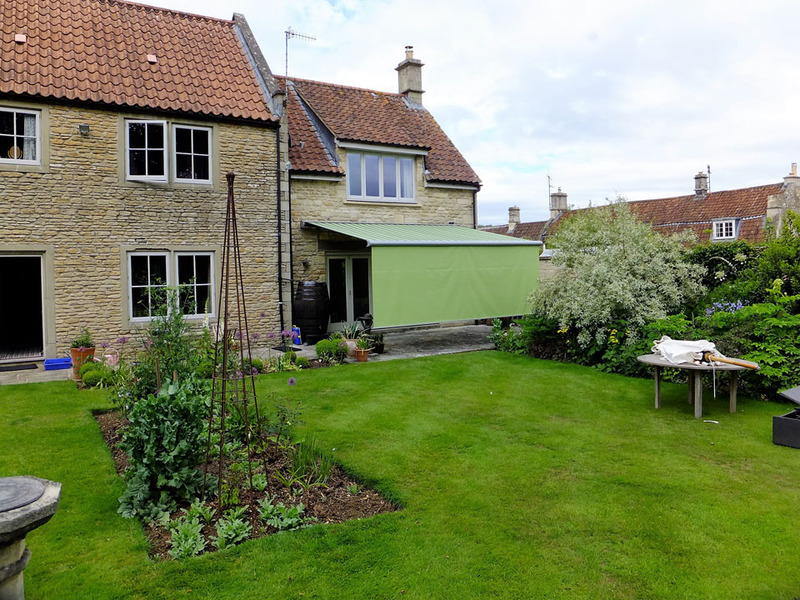 The client selected a remote controlled awning in a classic green colour. They also added the shade plus option to their awning which is an extra drop down cover at the end of the awning which creates a private and shaded space in their garden at a moment’s notice.